Clearance Rack Blitz – 12 Days of Christmas! The fine print: There are no limits. Items are available on any type of order. 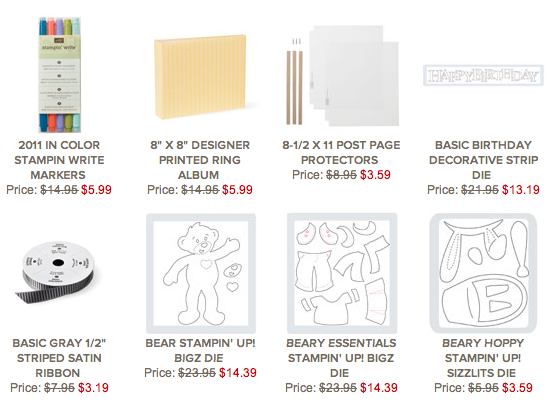 Your next steps: Everyone loves a good deal; and what better deal could there be than Stampin’ Up! products at up to 80% off? Get to my website immediately! This is urgent since these items are only available while supplies last! Here are some examples of items on the rack…. 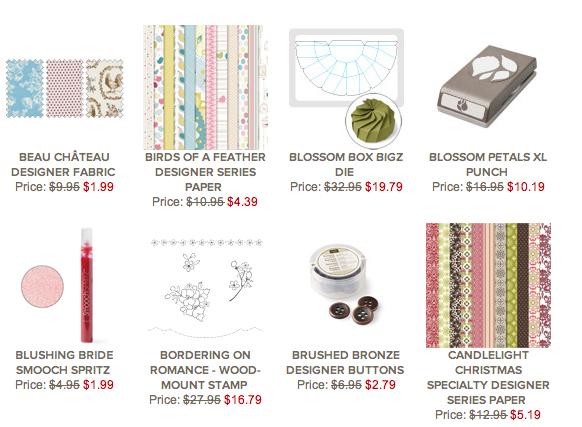 These are just SOME of the incredible bargains! CLICK HERE to go to my site and click on the shop now button!! I know that I am a bit late…but I will work hard at trying to make it up to you! I wanted to post every day for the last 12 days leading up to Christmas! My good intentions were NOT enough! As you know, life can be absolutely crazy at the holiday time…especially when you are running two small businesses and working a full-time job! UGH! 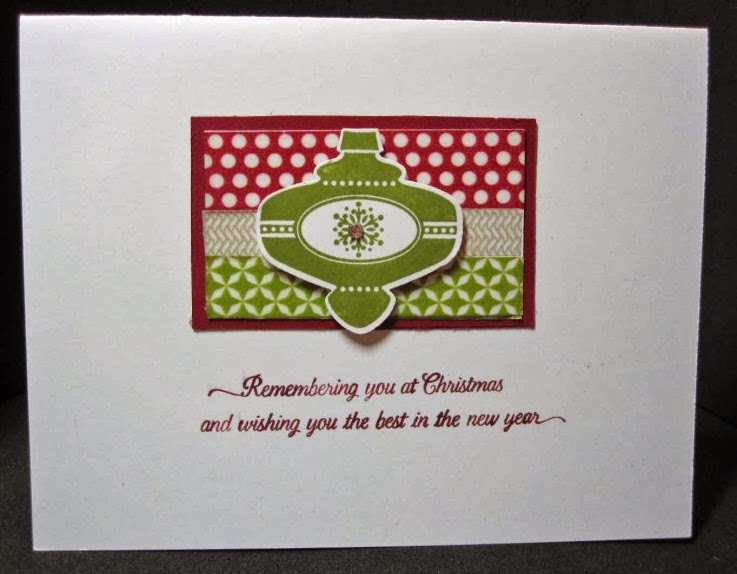 So here are a few Christmas items to get us going!n The first is a card made with our Season Of Style Washi Tape and the Christmas Collectibles stamp set! Gotta love that traditional red and green…well at least Cherry Cobbler and Gumball Green! 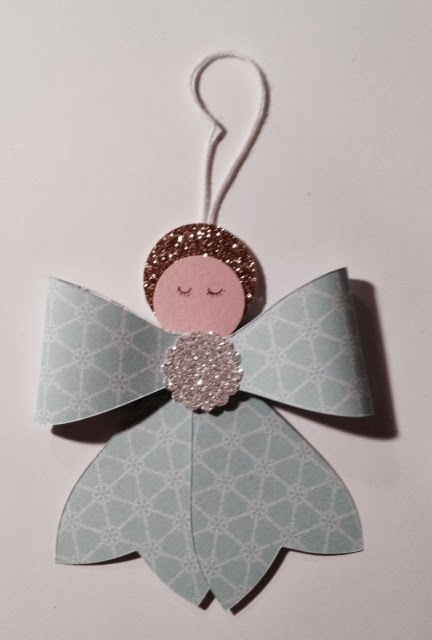 The second item is an incredibly easy Christmas Ornament to adorn your holiday packages with and then be used for your recipients Christmas Tree! It is made using the Bigz Bow Die found in our Holiday Catalog and available only until January 3rd! A bit of DSP and some glimmer paper, circle punches and you are well on your way!